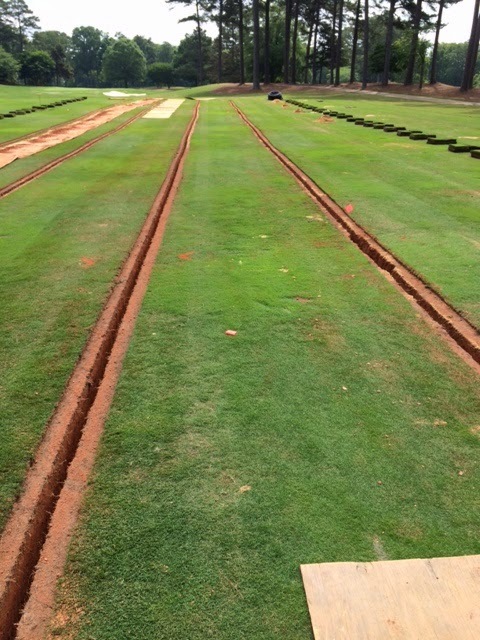 Josh Pigg and crew are underway with an initial XGD fairway drainage project at Cherokee Town & Country Club in the NW Atlanta area. 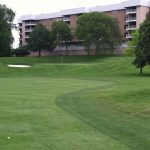 GCS Tony Mancuso reached out to us in the spring to come review some problematic fairway drainage issues at this 36 hole facility. A deciding factor on utilizing our XGD precision services was the light footprint we leave during and after the installation. It has been a wet spring in the Atlanta area and the club was looking for an option to dry up their fairways, while leaving them in playable conditions immediately after the installation. 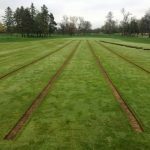 The pictures below illustrate that well as the first pic shows the sod removed, while the second pic exhibits the trenching operation completed. Super clean and tight is what you get from our fairway and greens drainage teams. 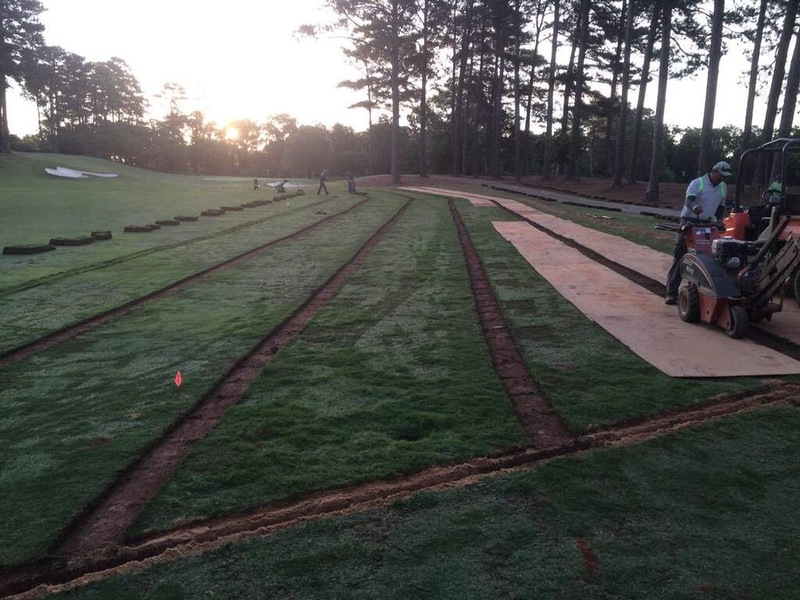 There is no rutting or turf displacement from heavy equipment, which compacts and reduces pore space in the soil, rather a super light footprint which allows play to resume immediately. So, please reach out to us at XGD, as we can have a technical representative in your area stop by to review your specific drainage needs.